On April 8, 2019, the federal government introduced Bill C-97 to implement measures from its spring budget. 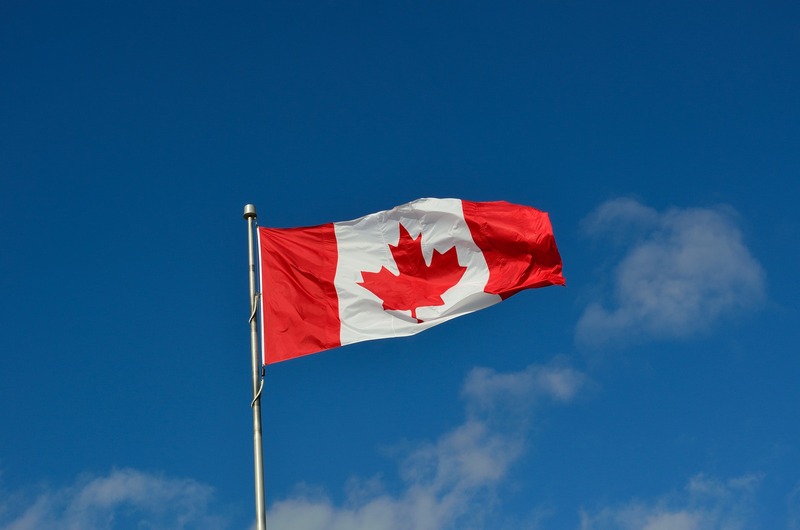 The bill proposes amendments to many federal statutes, including several important amendments to the Canada Business Corporations Act (CBCA) relevant to both private and public companies. Our summary of the proposed changes is set out below, some of which deal with familiar issues, while others would introduce new requirements for companies. the long-term interests of the company. Bill C-97 would introduce a new section 125.1 into the CBCA requiring prescribed corporations to develop an approach with respect to the remuneration of members of senior management. A report on the company’s approach would then be placed before the shareholders at each annual meeting, at which meeting a “Say on Pay” vote would be held. Companies would also be required to disclose the voting results. As is common practice in Canada, the Say on Pay vote would be non-binding, however shareholders will often agitate for change where the support level for the Say on Pay vote fails to reach a sufficiently high threshold. Bill C-97 also proposes requiring prescribed corporations to place before their shareholders at each annual meeting several reports. First, a report respecting diversity among the directors and members of senior management. Such a report was first proposed as part of Bill C-25, and we have canvassed its contents in a previous post. There are no substantive changes from the report as earlier proposed in Bill C-25. Second, the report concerning the remuneration of members of senior management, as discussed above. Third, a report concerning “the recovery of incentive benefits or other benefits” as included in the above remuneration report. This appears to be a new type of report, and there is no further detail in Bill C-97 about its required contents, such detail being left to regulations. However, it may be similar to the existing practice, which is somewhat common across larger Canadian issuers, to disclose the existence and nature of any clawback policy. Finally, a report respecting the well-being of employees, retirees and pensioners. This also appears to be a new type of report not previously contemplated in legislation and not commonly presented by issuers in Canada. There is no further detail in Bill C-97 about the required contents of such a report, such detail being left to regulations. Questions have arisen as to which parties external to the company would have access to the new register. Amendments in Bill C-97 clarify that companies would have to turn over their register on request to any police force, the Canada Revenue Agency and equivalent provincial bodies, and any other prescribed body with investigative powers as determined by the federal cabinet. Such investigative bodies would be limited in making such requests in two key ways. First, a request could be made only if the investigative body has reasonable grounds to believe that information in the register would be relevant to investigating a specified offence as set out in a new schedule to the CBCA. The contents of the schedule would be set, and could be revised by, the federal cabinet. A draft schedule is provided at the end of Bill C-97 and contains a long list of proposed offences. Second, the investigative body must also have reasonable grounds to suspect that certain specified entities either (1) committed the offence, or (2) were used to commit the offence, facilitate its commission, or protect from detection or punishment a person who committed the offence. Such specified entities include the company itself, or some other company or entity that is controlled or otherwise influenced by an individual that is also an individual with significant control of the company that is the target of the request. Failure to comply with the request can result in serious penalties. In particular, a director or officer of a company who knowingly authorizes, permits or acquiesces in the contravention of the above requirement to turn over information to investigative bodies is liable on summary conviction to a fine of up to $200,000, six months’ imprisonment, or both. The proposed amendments to the CBCA in Bill C-97 will come into force at different times. The amendments regarding the factors that may be considered concerning the best interests of the company come into force on the date Bill C-97 is granted royal assent. In the case of the amendments concerning the register of individuals with significant control, no coming-into-force date has been fixed, but it will likely be a date in June of 2019. The requirements to prepare and disclose the four reports will not kick in until regulations have been drafted and enacted, and such a process normally entails a consultation period. The standard Treasury Board guidance is that it takes 6–24 months for regulations to be enacted starting from the date of royal assent of the statute that delegated the power to make such regulations. We will continue to monitor Bill C-97 as it winds its way through the legislative process. If the Hillary Clinton email scandal wasn’t a clear enough lesson that one should not conduct “official” work using personal electronic communication tools (be it personal email, texts or other methods), a number of recent court decisions have required executives to produce communications from their personal accounts and devices. Executives and advisors should not assume that communications using methods other than corporate email will somehow be protected or otherwise not find the light of day in the event of a dispute or investigation. John Schnatter v. Papa John’s International, Inc.
During an earnings call in November 2017, John Schnatter (“Schnatter”), the founder of Papa John’s International, Inc. (the “Company”), criticized the National Football League’s handling of the dispute between players and owners regarding national anthem protests. Some months later, Forbes reported that Schnatter had used a racial slur during a Company diversity training exercise. Schnatter subsequently resigned as chairman of the Company’s board of directors (the “Board”) at the Board’s request, but declined to resign as a director. The Board then established a special committee which decided to terminate agreements that the Company had with Schnatter. In the wake of these events, Schnatter requested books and records from the Company, including emails and text messages from personal accounts and devices of the Company’s executives. In re Appraisal of Kate Spade & Co. In 2017, former shareholders of Kate Spade & Co. (“Kate Spade”) sought appraisal of their securities following Coach Inc.’s (“Coach”) acquisition of Kate Spade. In response to interrogatories, Kate Spade asserted that none of its executives engaged in communications over email or text from their personal accounts or devices concerning the negotiation of the transaction with any executives of Coach. However, documents produced by Kate Spade indicated the possible existence of text messages between two of the executives. The former shareholders then moved to compel the production of such communication arguing that some of the executives had prior social relationships that could have given Coach an advantage in the negotiation process. These cases should serve as a useful reminder that directors, officers and advisors should endeavor to conduct company business only on their company accounts and devices and not on their personal accounts and devices. Once it is established that an executive uses a personal email account or device to conduct company business, those personal accounts or devices will likely be subject to discovery, which could result in sensitive or embarrassing personal information being produced. Although these rulings are not binding on courts in Canada, it was not too long ago that the Ontario Superior Court of Justice allowed a tier-one Canadian bank to inspect the emails of its former executives in connection with their move to form a competing financial services firm. In order to protect information on an executive’s personal devices and accounts, companies should consider: (1) providing company email addresses and devices to the exectuive on which to communicate regarding company business; and (2) adopting a policy restricting the communication of company business on personal accounts and devices. The Competition Bureau announced the 2019 transaction-size pre-merger notification threshold under the Competition Act increased to C$96 million from C$92 million, effective February 2, 2019. Innovation, Science and Economic Development Canada also announced new foreign investment review thresholds under the Investment Canada Act, effective January 1, 2019. For more information about the new thresholds under the Competition Act and Investment Canada Act, see the Competition Chronicle. As of June 13, 2019, private corporations incorporated under the Canada Business Corporations Act (CBCA) must maintain a register regarding individuals who have “significant control” over the corporation through direct or indirect influence. This requirement was one of several new initiatives included in Bill C-86, the Budget Implementation Act, 2018, No. 2 which received Royal Assent on December 13, 2018.
being the beneficial or registered owner of, or having the control or direction over, either indirectly or directly, a “significant number of shares” of the corporation (the threshold for such control is being 1) the owner of 25% or more of the outstanding shares of the corporation or 2) owning 25% or more of the outstanding number of voting shares of the corporation. The punishment for intentionally disregarding the new requirements will consist of six months imprisonment and/or a fine up to $200,000. Parties potentially impacted by these consequences include shareholders, corporations, directors and officers. any other prescribed information as set forth in any regulations. After the register has been created the corporation must be diligent as it pertains to keeping it up to date through at least one check during the fiscal year to see if additional individuals satisfy the significant control category. The exact mechanics concerning the preparation and maintenance of the register will be shared through upcoming registration requirements. Despite the new registration requirements currently applying only to private corporations formed under the CBCA, this move is a part of a potentially growing trend. Recent Recommendations in the House of Commons Standing Committee on Finance’s report on the Proceeds of Crime (Money Laundering) and Terrorist Financing Act highlight a potential transition to a universal registry to be applied both federally and to the respective provinces and territories. Now in its fifth week, the U.S. federal government shutdown has become the longest in U.S. history. The partial shutdown began on December 22, 2018, following a stalemate between Congress and President Donald Trump over funding for a wall at the Mexican border. Many government services and agencies have been halted: NASA, the Smithsonian museums, the National Gallery of Art, the National Park Service. Others, like the postal service, social security, the Pentagon and the FBI, remain open due to the critical nature of the services they provide. To date, more than 800,000 federal employees have been furloughed or are working without pay, resulting in more than US$200 million in unpaid wages every workday. By tomorrow, federal district courts will have run out of funds. North of the border, the situation is not as dire, although Canada is feeling the ripple effect of the budget impasse. For one, Canadian businesses contracting directly with the U.S. government are likely searching for ways to cope with, and in some cases survive, the shutdown. Travellers heading south may experience delays as many Transportation Security Administration workers have been calling in sick, refusing to work without pay. And as a result of partial closures at the U.S. Department of Agriculture (USDA) and the Food and Drug Administration (FDA), Canadian restaurants and grocery stores may be under pressure to find alternative sources of produce in cases where routine assessment or clearance by the USDA or the FDA is required for food imports into Canada. Not the least of the negative ramifications of the shutdown this side of the border has been the impact on Canada’s capital markets. Since December 27, 2018, the U.S. Securities and Exchange Commission (SEC) has been operating with very limited staff. Departments that perform key functions, such as monitoring the markets and responding to emergencies, continue to operate pursuant to the agency’s Operations Plan Under a Lapse in Appropriations and Government Shutdown. The SEC’s Division of Enforcement, for instance, continues to monitor the Tips, Complaints and Referrals system for reports alleging misconduct or harm to investors. Applications for restraining orders and investigations into fraud remain in play. The SEC’s electronic filing system, EDGAR, also remains open, allowing filers to obtain access codes and make certain filings. A number of the SEC’s major functions have been temporarily discontinued, however. Non-emergency interpretative advice is currently unavailable, so inquiries relating to cross-border mergers, for example, are being put on hold. Processing of new and pending applications for exemptive relief and non-emergency assistance to Canadian authorities under any bilateral or multilateral arrangements have been suspended. And although the SEC continues to receive registration statements, offering statements and other documents, declaring registration statements effective and approving offerings have been halted, leading to a growing backlog of applications by registrants and issuers in the United States and Canada alike. Long-anticipated IPOs will need to wait for the standoff to end. It is unclear how long the shutdown will last. Analysts estimate, though, that if the fallout continues for an extended period of time, the American economy (and consequently the Canadian economy) could face significant setbacks. For the sake of all those affected by the shutdown, including Canadian businesses and individuals, it is hoped that the standstill will come to an end sooner rather than later. Recently, the Ontario Securities Commission, in coordination with the Ministry of Finance, created a Burden Reduction Task Force. The goal of this initiative is to enable Ontario’s businesses and markets to innovate, better compete with other jurisdictions and flourish as the regulatory load is reduced while not diminishing the safeguards in place for Ontario investors. This Task Force will support the Government of Ontario’s Open for Business Action Plan by identifying short- medium- and long-term steps that can benefit Ontario by facilitating increased competitiveness by saving money and time for investors, issuers, registrants and other members in the financial markets. The comprehensive consultation is fully supported by the government and seeks to enable the transformation of inefficient past practices. By March 1 stakeholders are encouraged to share suggestions with the OSC by using the Burden Reduction Survey or through e-mail at comments@osc.gov.on.ca. On March 27 market participants interested in discussing proposed changes should join the OSC hosted roundtable which will require the submission of a comment letter to the OSC. Days ago, the Supreme Court of the State of Delaware issued an order succinctly affirming the Delaware Court of Chancery’s judgment from October this year that found Fresenius Kabi AG had no obligation to close its proposed merger with Akorn, Inc. and Fresenius properly terminated the merger agreement on April 22, 2018 largely as a result of Akorn having suffered a material adverse effect (MAC). The Court of Chancery’s decision is notable for a number of reasons, but the main attraction is the fact that the decision is generally understood to represent the first time a Delaware court has allowed a buyer to walk away from a public company merger on the basis of a contractual MAC provision. Merger agreements almost always allow the buyer to “walk” if the target suffers a MAC before closing or if the target’s representations are not true at closing subject to a MAC qualifier. As a result, the MAC definition is often hotly contested notwithstanding the fact that prior to Akorn nobody was successful in walking away on the basis that a MAC occurred. The Delaware courts have been very reluctant to find a MAC, trying to balance respect for the written terms of an agreement with an aversion to facilitating buyer’s regret. In a 246 page document, the Court of Chancery described the question of whether Akorn had experienced a MAC as a “straightforward issue” of contractual interpretation. It helped that the facts were ugly: during each of the four quarters following signing, on a year-over-year basis, Akorn’s revenues declined between 29% and 34%, its operating income declined between 84% and 124%, and its earnings per share declined between 96% and 300%. In reaching its decision, the Court of Chancery confirmed prior guidance that a MAC must be both “material when viewed from the longer-term perspective of a reasonable acquirer” and “durationally significant”. The case does not create new law, but it does confirm that it is possible to find a MAC and provides a factual point of reference that others will turn to when a MAC is inevitably asserted in the future. Although not binding on courts in Canada, the decision is expected to be highly influential given the lack of jurisprudence on the point in Canada and the fact that the Delaware Courts are considered the leading commercial courts in the United States. 74% of Cannabis Issuers that currently engage in, or are developing, cannabis-related activities in the U.S. (U.S. Cannabis Issuers) failed to include adequate disclosure as set out in CSA Staff Notice 51-352 (Revised) Issuers with U.S. Marijuana-Related Activities (U.S. Disclosure Notice) about the risks related to their U.S. operations. The CSA focused their review on the following areas: a need for more transparent financial disclosure, U.S. Cannabis Issuers and their disclosure requirements and other key considerations. LPs are required to measure living plants or biological assets at their fair value under International Financial Reporting Standards. The CSA noted that LPs often did not properly disclose fair value amounts in their statement of profit and loss. As such, the CSA reported that investors were unable to understand how much LPs actually paid to produce their cannabis. any realized fair value amounts included in the cost of inventory sold. whether the direct and indirect costs of cannabis are capitalized or whether they are expensed. non-GAAP financial measures (an example includes, “cash cost per gram”). additional disclosures depending on whether the Cannabis Issuer has direct, indirect or ancillary involvement in U.S. cannabis activities. The CSA have been actively reviewing U.S. Cannabis Issuers’ disclosure and as a result of the review conducted, in connection with drafting the Staff Notice, 17% of U.S. Cannabis Issuers were required to refile their most recent MD&A. Material Contracts – Consider filing licence agreements or lease facility agreements as material contracts. Regulatory Frameworks – For those operating outside North America, appropriate disclosure must be made relating to the international regulatory framework applicable to their business. For example, the need for Cannabis Issuers with U.S. operations to disclose recent statements made by the U.S. Customs and Border Protection Agency about the admissibility of those working in, or facilitating the legal cannabis industry into, the United States. Production Estimates – When disclosing anticipated production capacity in new facilities, consider disclosing the material factors and assumptions related to those projects. Moving forward, Cannabis Issuers should consider reading the Staff Notice to ensure their disclosure conforms to CSA guidance. For further information on the Staff Notice or continuous disclosure requirements, please contact a member of our Corporate Finance & Securities Law Group. Of the 70 Cannabis Issuers reviewed, 21 were LPs, 23 were U.S. Cannabis-Issuers and 31 were classified as other Cannabis Issuers. Recently, a group of prominent executives released an open letter and document known as Commonsense Principles 2.0. Signatories include Mark Machin of the Canada Pension Plan Investment Board and Warren Buffett of Berkshire Hathaway. The purpose of the letter and the principles is to encourage companies to embrace a long-term view and enhance trust between investors and companies to improve the health of public capital markets. By virtue of the parties to the letter and the thoughtful nature of the principles themselves, the principles are expected to have a meaningful influence on governance practice and debate. Although American in focus, the principles and issues they address are meaningful for Canadian companies and investors as well. The Commonsense Principles 2.0 update a set of principles known as the Commonsense Principles of Corporate Governance, released slightly more than two years ago. The revised principles generally reflect incremental, yet important, changes. For example, the first principle, which concerns the directors’ duty of loyalty and care, previously stated that the directors’ loyalty “should be to the shareholders and the company”. The revised principle now states that “[d]irectors are accountable to shareholders and owe duties of loyalty and care to the company” and that director performance “should be evaluated through a company’s long-term performance, financial and otherwise”. Other changes largely reflect recent developments in governance best practices in areas such as director elections, shareholder engagement and proxy access and the explicit change that the principles should apply to asset managers and institutional asset owners. Each of the letter’s signatories has committed to applying the principles in their businesses. A list of the companies and investors that have agreed to follow the principles will be maintained on the website for Columbia Law School’s Millstein Center for Global Markets and Corporate Ownership. However, the authors acknowledge that there is significant variation among public companies, and that not every principle will be applied in the same fashion (or at all) by every company, board or institutional investor. The Supreme Court of Canada Green Lights National Securities Regulatory Regime–Who Will Drive Ahead? The Supreme Court of Canada (SCC) released its decision on November 9, 2018, holding that the proposed co-operative pan-Canadian securities regulator, known as the Cooperative Capital Markets Regulatory System (CCMR), is constitutional. The CCMR first emerged in 2014 following the rejection of an earlier proposal by the SCC in 2011 on the basis that the main thrust of the earlier proposal was for the federal government to regulate, on an exclusive basis, all aspects of the trade in securities in Canada. A council (Council of Ministers) comprised of the ministers responsible for capital markets regulation in the participating provinces/territories and the federal Minister of Finance that would supervise the Capital Markets Regulatory Authority and approve certain proposed legislative changes and regulations. Quebec and Alberta opposed the CCMR, and Quebec referred the matter to the Quebec Court of Appeal. The Quebec Court of Appeal took issue with the fourth element of the CCMR on the basis that the Council of Ministers and its power to amend legislation and adopt regulations infringes on the legislative sovereignty of the participating jurisdictions and reflects an impermissible delegation of authority. The matter was then referred to the SCC, who unanimously reached a different conclusion. Namely, that the Constitution of Canada authorizes the implementation of the CCMR, and that the proposed system does not improperly fetter provincial sovereignty and does not entail an impermissible delegation by the Parliament of Canada of law-making authority, and that the proposed federal act does not exceed the authority of Parliament over provincial powers related to the regulation of trade and commerce. Although the decision removes uncertainty as to the constitutional validity of the proposed system, provincial and territorial legislatures are not required to join. It remains to be seen if, and which of, the various governments will move forward on the proposed system.